This cymbal is not bad as an extra-crash for a beginner drummer. It sounds gloomy but hey it is really cheap stuff. 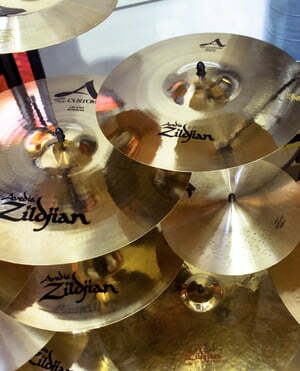 So i think its a good choise to add a new cymbal to a beginners cymbal set. Great german quality in reasonable price. As I bought the cymbal set a week ago , I didnt hessitate to buy a seperate Crash for my left arm :-) . The quality is great . I use this for studio recordings but I am sure it can great job in live show use! ID: 111020 © 1996–2019 Thomann GmbH Thomann loves you, because you rock!